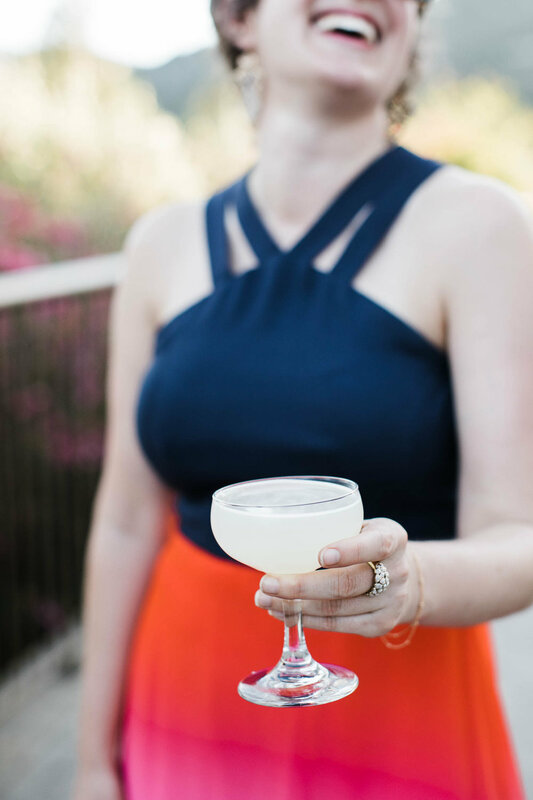 Greg and Lauryn have long shared a love of travel, and good food and drink. 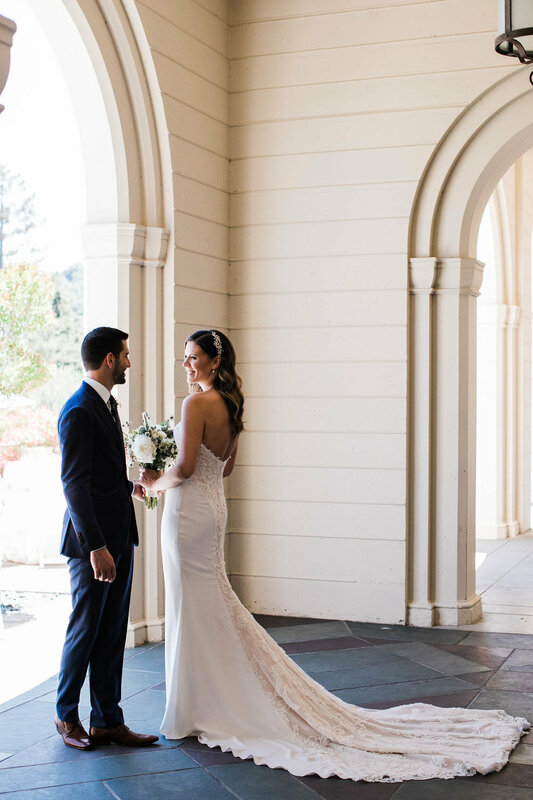 Finding the San Francisco Theological Seminary meant they could share those loves with their friends and family on their wedding day. 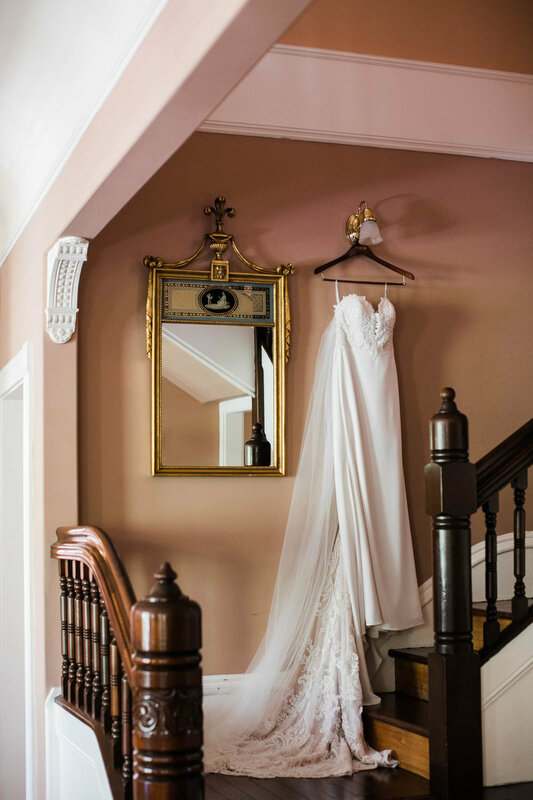 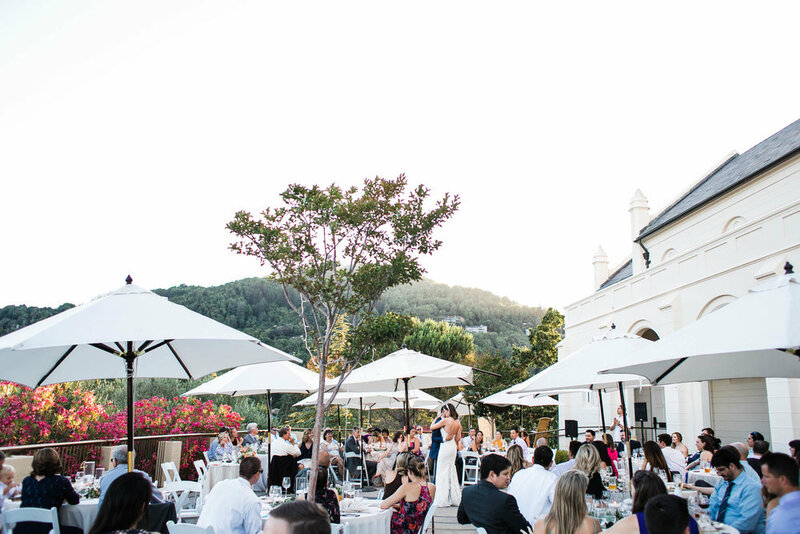 In an effort to create space for more intimate moments, they’d decided to mix up the traditional ceremony + reception plan with a cocktail hour before the ceremony even started. 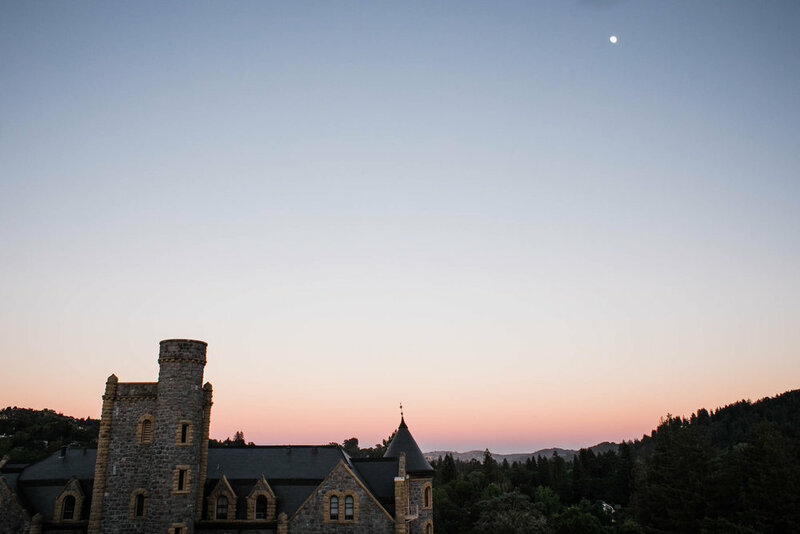 On the patio of what feels like a European castle - and reminded the couple of their time living abroad in Luxembourg - they served their guests barrels-aged Manhattans and craft beer, lovingly brewed by a friend. 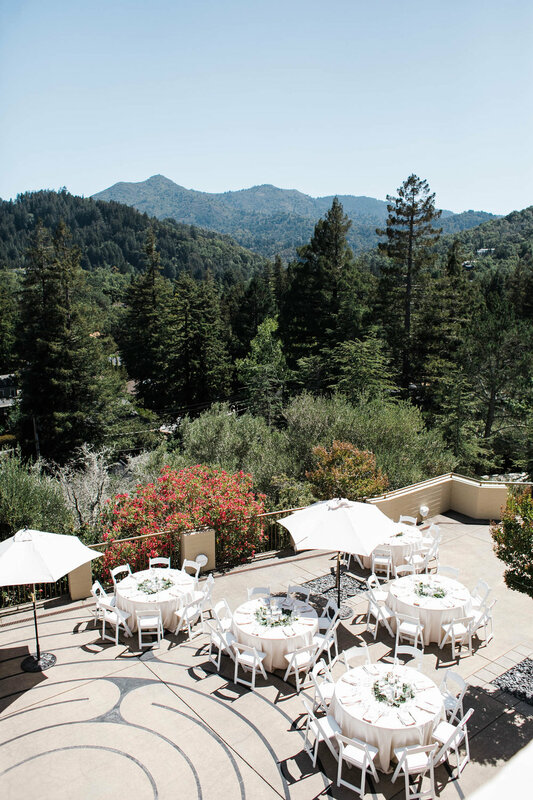 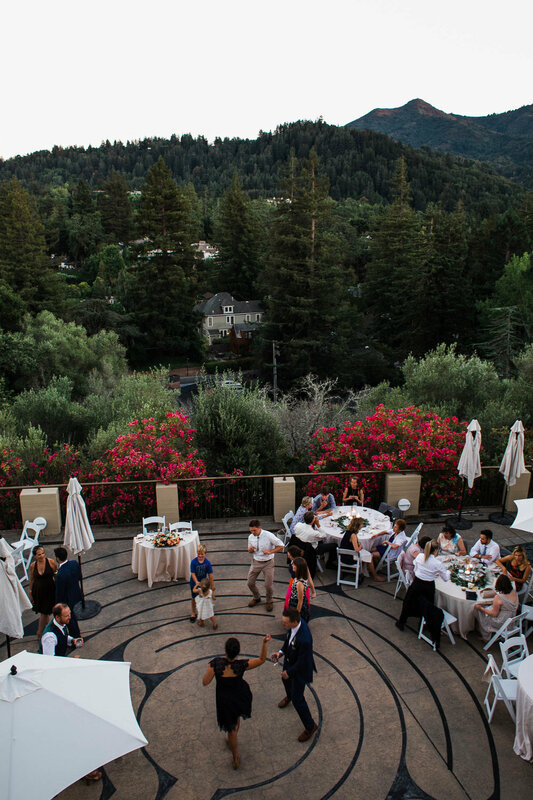 After a sweet ceremony in the chapel, guests moved back to the patio for a beautiful summer dinner and party at the base of Mount Tam.